The Zero Gravity position was first developed by NASA to help alleviate stress on the spine on astronauts during take off. Since then, massage chair have incorporated this science in order to help relieve the stress on your spine which will help you relax more and even have a better massage experience. 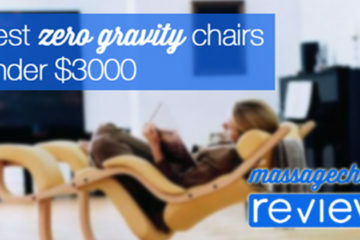 There are many health benefits to Zero Gravity and we take you through the Best Massage Chairs under $2000 with Zero Gravity. 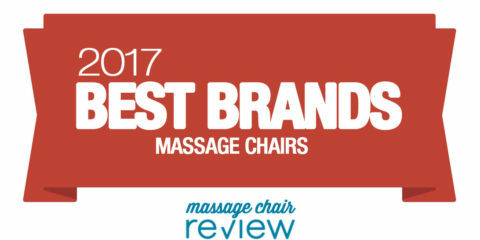 Make sure to check out our partners at Emassagechair.com for the best deals and awesome customer service. 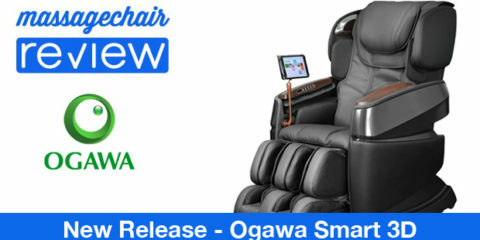 Ogawa has been designing and developing massage chairs for over 20 years. As a beauty and health company they dedicate a lot of resources to designing products that fit the lifestyle of active people and people who want to remain youthful into their later years. 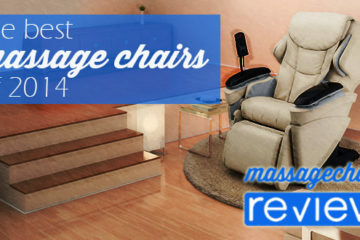 The Ogawa Refresh massage chair is one of the best chairs you can find for under $2000. Since lower priced chairs will sometimes suffer in the quality of features its really important that the manufacturers get the basics right. That’s exactly what Ogawa did with the Smart Curve technology in the Ogawa Refresh. The body scan and the Smart Curve technology make this chair one of the best neck and shoulder massages of any chair in this price point. The Refresh also comes with many other relaxation features like airbag massage in the shoulders – arms – calves and feet, as well as 2 Zero Gravity positions. The Refresh also has 6 different massage techniques with 5 different speed settings, 4 automatic programs, spot and partial massage, Heat, and Vibration in the seat. The Refresh also has a sleek styling that gives it a modern contemporary look. It’s also one of the only chairs that has Chromotherapy at this price point. The quality and craftsmanship of the massage is also very high. MSRP is $2399.99. 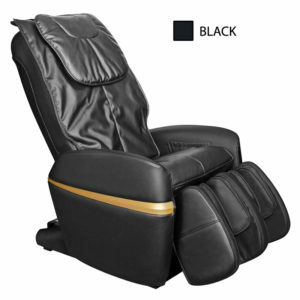 Cozzia has been manufacturing massage chairs for several years. They always pack a punch with features at affordable prices which is why the Cozzia 16028 makes the list. 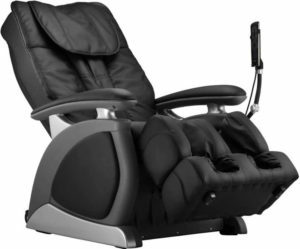 The Cozzia Model 16028 Massage Chair features auto-scan technology that custom-matches a massage routine to each user, as well as Zero Gravity positioning. An S-shaped back rest with an automatic reclining add to the comfort and convenience of this massage chair. Boasting 7 pre-programmed massages, five levels of intensity, and three width adjustments, the 16028 features vibration massage for the seat and air pressure massage for the legs and feet. Set your massage length from 5 to 30 minutes, and use the handy remote control to turn off your chair when you’re done! Massage features include Swedish, Shiatsu, kneading, clapping, tapping, rolling, and vibration. Durable synthetic leather has the look, feel, and comfort of real leather. MSRP of $1999. 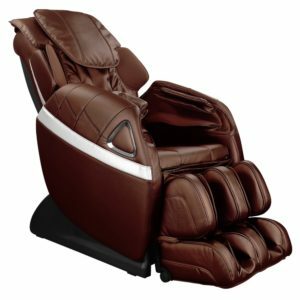 Osaki has engineered and designed OS-2000 Combo massage chair with more emphasis on style and appearance. Although simple in design, it is loaded with highly innovative and advanced massage functions. The Osaki OS-2000 incorporates 6 varieties of massage styles: Kneading, Tapping, Rolling, Swedish, Shiatsu and dual action. With a massage track of 31″, the Osaki OS-2000 can massage people up to 6’4″ to comfortably. One really cool feature is the innovative knee massage. The calf portion is unique to all other Osaki Massage Chair. The calf airbag massagers are mounted to a pivot point, which allows for the calf massager to be rotated up, then focusing on knee area. This the only Osaki chair that is designed to apply pressure to massage the sides of the knee.Other great features include Zero Gravity, Airbag massage technology with 5 levels of intensity, easy to use remote control, and much more. MSPR of $1995. 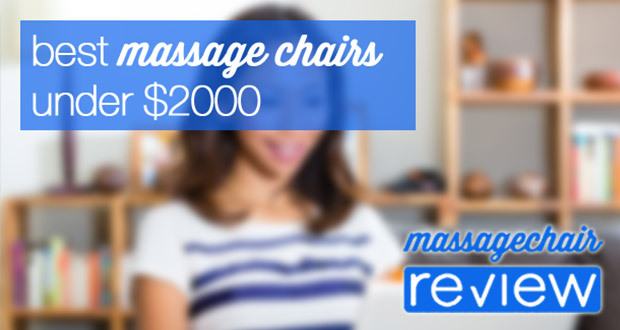 We included the Infinity IT-7800 on this list because you can often find it under $2000 on sale.The Infinity IT-7800 Massage Chair offers relief and rejuvenation from head to toe. This massage chair features 4 Auto Massage Programs, integrating several different massage techniques from Kneading to Shiatsu. Using the manual controls, you can customize your massage to target neck, shoulders, or lower back. The easy-to-use control panel also allows you to control the speed and strength; the perfect massage. Head to toe is the name of the game. Your chair features a Double Section Footrest which includes an incredible, 12 air- bag massage, to relieve tension in your calves, ankles and feet. 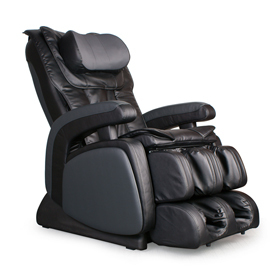 The Infinity IT-7800 also includes an independently-controlled power recline and foot rest elevation. This allows you to fully adjust the chair for use with or without the massage functions. 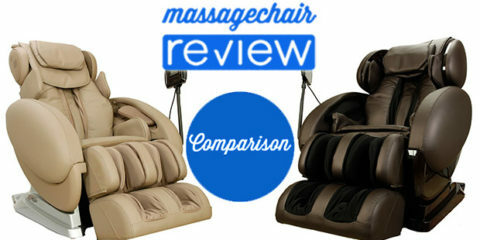 HumanTouch has applied a great deal of massage and rehabilitation science into their massage chairs. This is very apparent in their ZeroG 2.0 Immersion Chair. This massage chair easily goes into the Zero Gravity position for easy relaxation. It also features their Immersion based therapy technology. As HumanTouch puts it, this Immersion is designed after real human hands and massage techniques. The HumanTouch ZeroG 2.0 Immersion Massage Chair retails for $2299 and you can often find it on sale for $1999.